Readers of historical fiction love to immerse themselves in the details of a bygone age. A well crafted historical mystery will evoke a sense of the time and place, while challenging the reader with a carefully plotted crime to unravel. A fellow reader with a great love for historical mysteries (and too modest to write herself for The Reader) asked for a post with some of her favourite historical mysteries. 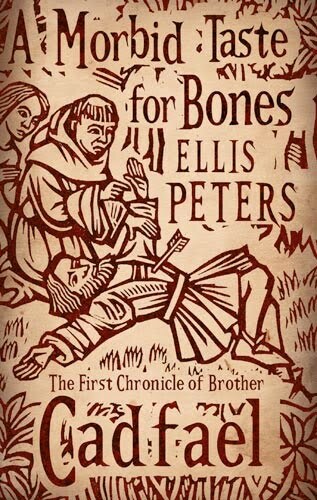 Brother Cadfael series by Ellis Peters is set in Shrewsbury Abbey in the 1100's. Brother Cadfael is an expert in herbs and healing, and he solves mysteries at the Abbey and surrounding area. In a A Morbid Taste for Bones Brother Cadfael is engaged to the expedition to acquire the bones of St. Winifred. When the expedition's leader is found murdered, Cadfael must unravel this bizarre mystery. Also set in the 1100's is Sharon Kay Penman's Justin de Quincy series. De Quincy is the Queen's Man - the queen being Eleanor of Aquitaine - and investigates the matters on her behalf. De Quincy first meets Eleanor of Aquitaine in The Queen's Man. Fast-paced and entertaining, he investigates the murder of the Queen's goldsmith which holds the clue to the disappearance of Richard Lionheart. The Tudors have been the inspiration for a number of historical mystery series including Karen Harper's Elizabeth I, Kathy Lynn Emerson's Lady Susanna Appleton and notably C.J. Samsom's Matthew Shardlake, "the sharpest hunchback in the courts of England". 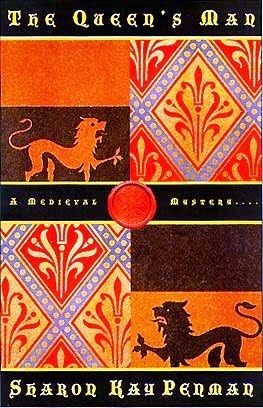 Set in London during the reign of Henry VIII, in the early 1500's. Shardlake is a lawyer who starts the series as Thomas Cromwell's man and even after Cromwell's demise is drawn into crimes by people close to the King. You get a good idea of how dangerous life was then, and many historical - and dangerous - people feature in the series, like Cromwell, Thomas More, Catherine Parr and Henry VIII himself. 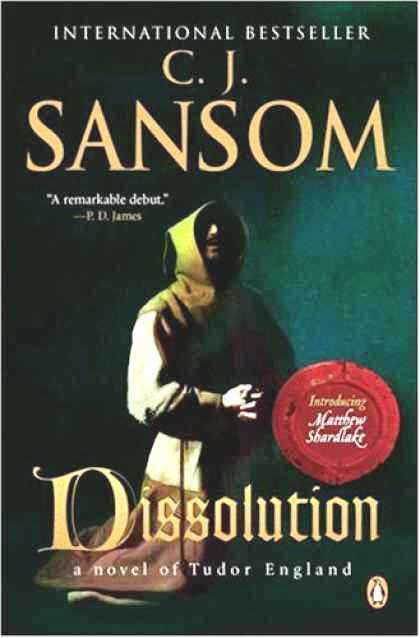 In Dissolution, Shardrake investigates the murder of Cromwell's commissioner at a Benedictine Monastery. The Tudors are done. Cromwell is done. Charles II has been restored to the throne. 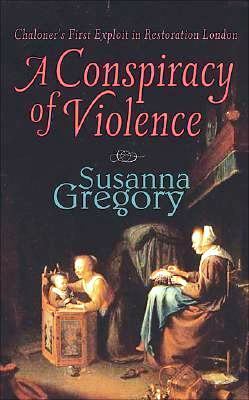 Susanna Gregory's Thomas Chaloner series is set in Restoration London, in the late 1600's. In A Conspiracy of Violence, Chaloner is a former spy for Oliver Cromwell's spymaster and is now employed by the Lord Chancellor to Charles II as a spy. He solves murders while trying to keep his job and hide his ties to Cromwell's gov't. Many historical people turn up in the books, including Samuel Pepys - whom no one seems to like!